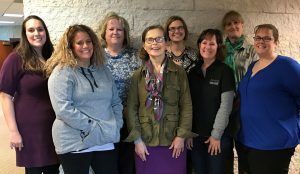 Part of the job of ag literacy is connecting with teachers. But how can we effectively reach over 1,000 busy educators? Mailings, emails, social media, and websites all play an important role. However, nothing beats making personal connections. That’s where the Ag Literacy Ambassadors come in. 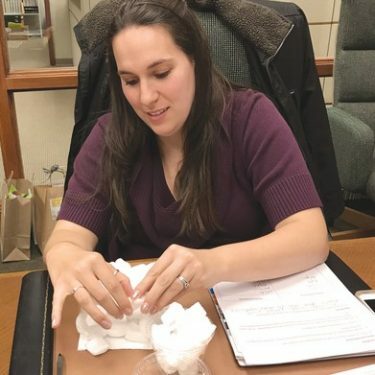 Ten years ago DeKalb County Farm Bureau decided to formally enlist the help of teachers to spread the word about ag literacy among their fellow educators. That effort continues today. Seventeen Ag Literacy Ambassadors attended a workshop held at DeKalb County Farm Bureau in October. Shown are (from left): Emily Kielb, Brooks Elem., DeKalb; Kaki Johnson, Genoa Elem. ; Joann Pardridge, Indian Creek Elem., Shabbona; Debbie Dorf, Cornerstone Christian Academy, Sycamore; Kara Christensen, Hiawatha Elem., Kirkland; Pam Bybee, Founders Elem., DeKalb; Vida Martin, Sandwich High School; and Joanie Novak, Littlejohn Elem., DeKalb. Nearly all of the 42 elementary, middle, and high school buildings in DeKalb County have an Ambassador. The job of Ag Literacy Ambassadors is to share and promote information about ag literacy programs and resources to the other teachers in their buildings. They also distribute items like the farm fact calendars provided by Illinois Ag in the Classroom and books donated annually to school libraries. 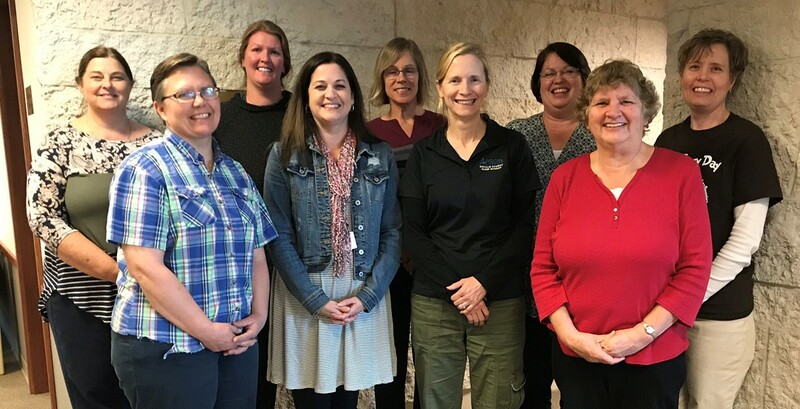 Also attending the Ag Ambassador workshop were (from left) Lisa Fleming, Indian Creek High School, Shabbona; Laurie Jacobsen, West Elem., Sycamore; Emily Butler, Indian Creek Middle School, Waterman; Monica Winckler, Dummer Elem., Sandwich; Pam Olson, Sycamore High School; Sandy Arndt, Genoa-Kingston Middle School; Barbara Benzinger, Kingston Elem. ; Sue Pelikan, St. Mary School, DeKalb; and Monica Sartori, Haskin Elem., Sandwich. To help them in their Ambassador role, Farm Bureau offers a special workshop each fall. The workshop highlights resources like the AgriLearning Kits and Ag Mags, and reviews programs such as Ag in the Classroom presentations and the Summer Ag Institute. Workshop participants also try out activities and discuss ways to address agricultural topics such as food safety and the environment.